Pipet fillers do away with the frequently hazardous practice of drawing liquids into pipets by mouth. 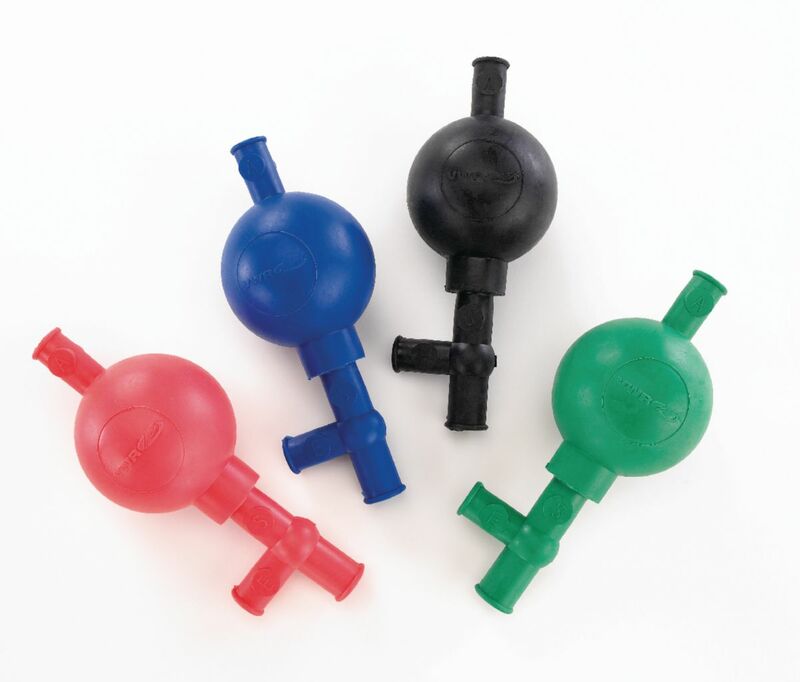 Pipets are made out of 100% natural rubber with three stainless steel ball valves. For use with pipets of 1 mL to 45 mL capacity and 4–8mm outside diameter. A volume of 100 mL is attainable with repeated evacuation. With a simple three-step process, one can eliminate dangerous mouth pipetting. Also useful for skimming off liquids floating above a chemical precipitate or sediment.